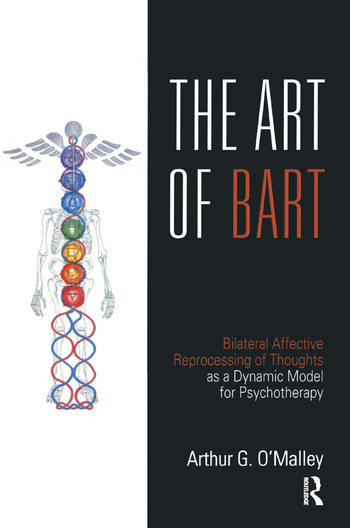 The Art of BART (the Bilateral Affective Reprocessing of Thoughts) is a practitioner's introduction to an innovative psychotherapy model that draws on and integrates well-proven therapies (such as EMDR, sensorimotor psychotherapy and CBT) and on the Indian chakra tradition and other historical beliefs. As a therapeutic approach it has particular relevance to those who are living with the consequences of a traumatic event and those who seek after peak performance in fields such as sport and the arts. The book introduces the reader to BART as a psychotherapy that can benefit patients with disorders such as anorexia nervosa and dissociative identity disorder, and those who have suffered a traumatic event. It also looks at the information processing of the mind-body at the levels of the gut heart and the gut brain, and it makes connections between the endocrine and immune systems and the chakras of Indian tradition.